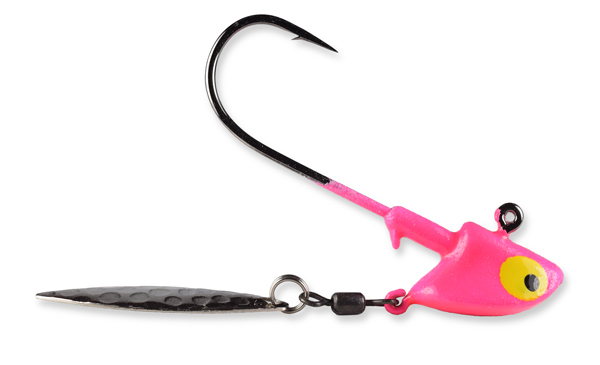 ReelBait ® Tournament Series Flasher Jig is our neutral balanced jig reincarnated. We have kept the design the same, but added a Gamakatsu Black Nickel hook. The unique head shape plows into current to give you maximum control while suspended and performs as a stand up when on the bottom. It can be cast, trolled or jigged. 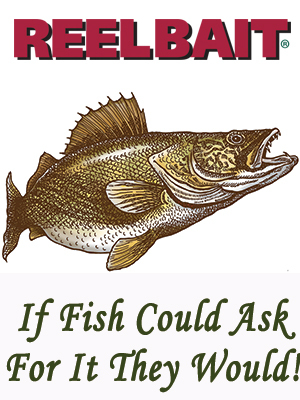 It can be tipped with live bait or soft plastics, and is a proven jig for the broadest range of fish. Flashers create maximum flash, distress vibration and sound patterns, with color combinations that trigger the instinctive command in a fish's brain to strike. We have created a true underwater chameleon, from rip-jigging weeds, vertical jigging in current, or suspended under a bobber on open water or under the ice. Designed to be used with traditional plastics. Also, for larger, live bait. A true underwater chameleon, Flasher Jigs can be rip-jigged through weeds with a plastic body, jigged vertically in currents with a live shiner, or suspended under a bobber. Gamakatsu Black Nickel Hook. Nickel Tail Assembly.